This past weekend we had two weddings, the one featured here took place at the Ogden Musuem. Our bride, Kat, was very sweet and lovely. Her taste completely reflected my own style. We used so many elements in her floral bouquet that I ran out of room! 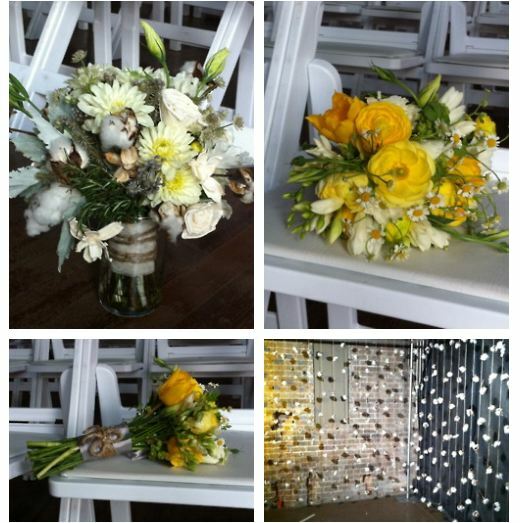 Kat’s bridal bouquet consisted of cotton, rosemary, dahlias, dusty miller, berzillia, and tapioca flowers. We wrapped it with lace and twine and off it went. She was super happy and said, “It was exactly what I wanted!” This is exactly what any wedding florist wants to hear from the client. When hiring a floral designer, you should always communicate what you want, in detail. We strive for excellence and making sure our brides are 100% satisfied. If you aren’t happy with your flowers, Kim Starr Wise Floral Events is not happy either.